This front door in Atlanta has been re-finished to it’s original condition. This Alpharetta, GA home has had the front door refinished to bring out its original beauty. Careful prep work, and a skillfully applied stain and poly coat both protects and enhances the door’s appearance. Front doors are a key point in the overall feel of any home’s curb appeal. It’s where you first interact with guests, and perhaps even the main focal point for the front of the home. 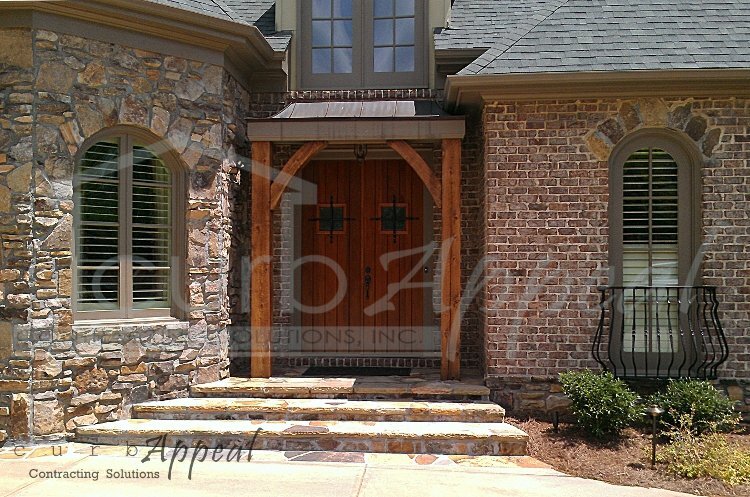 We install all types of front doors in the metro Atlanta area, including doors such as the one pictured above. For more information on our exterior and interior door services in the metro Atlanta area, please call 678-714-7393, or contact us online.